There is no need for expensive power saws, routers, etc. 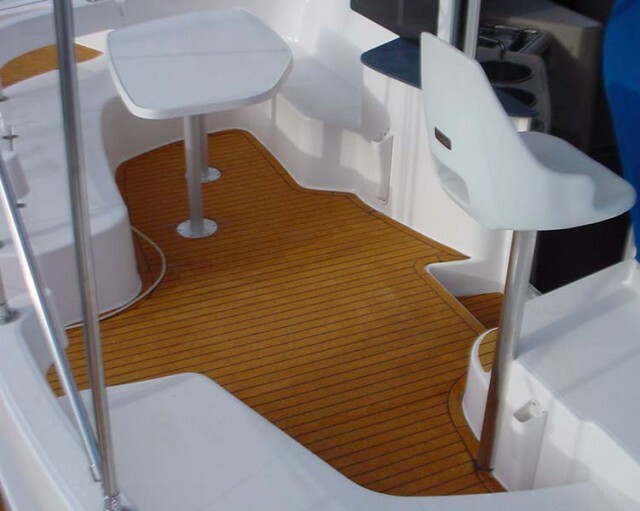 when installing a Seacork floor. A sharp utility knife, pen and straight edge are about all you will need. A Dremel tool and some power sanding tools might be helpful, depending on your desired finished product. 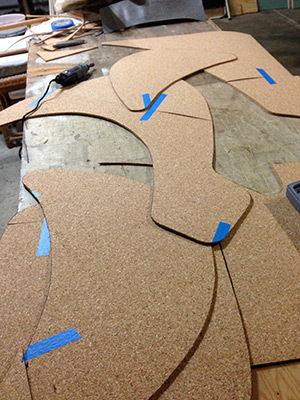 After creating proper templates for your pieces, it’s simply a matter of cutting, light sanding, cleaning of the surface, and glueing in place. This site has helpful step-by-step instructions for various kinds of projects, so you know what to expect and can avoid any issues. These projects are easily handled by a moderately skilled Do-It-Yourselfer. The key to lasting durability of a cork floor is dirt management. If you regularly sweep or vacuum your cork floor, and put out floor rugs near entryways to prevent tracked in dirt, your cork floor will require very little additional maintenance. The regimen will depend largely on the installation and finish you choose. 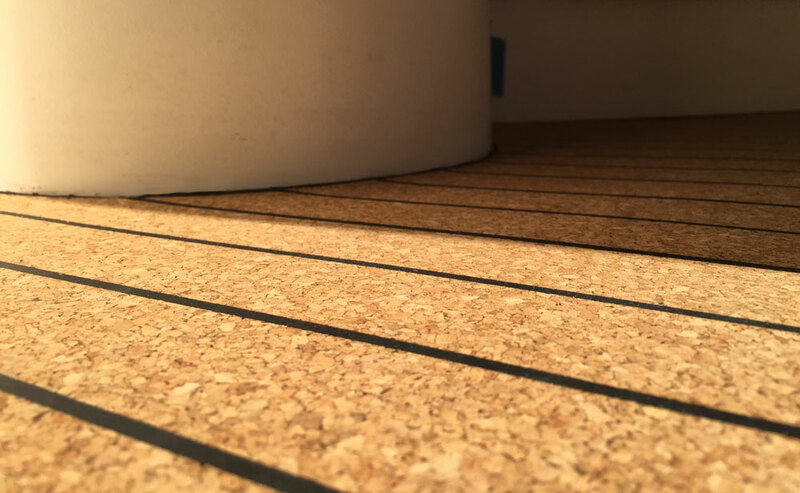 At one end of the spectrum is an unfinished cork area on the transom of a boat. Regular scrubbing with sea water, every 4-6 days, will result in a very clean and tidy appearance, although the cork will fade to natural gray color, just like teak. 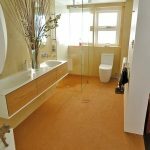 At the other end of the spectrum is a cork shower floor installation, which because of constant rinsing, will likely never need any additional maintenance. Cork flooring is actually made from the cultivated waste of the cork wine-stopper manufacturing process, so it is a recycled product. Cork harvesting does not harm the trees, and is a highly regulated process to ensure sustainability. Bottle stopper “corks” are punched from the best material in the harvested cork bark slabs. The remaining material is then ground into smaller granules, mixed with a non-toxic resin binder, molded into large blocks and baked in specialized ovens – making use of every scrap of cork bark. There is practically no waste from the harvesting of the raw material to the manufacturing of flooring. © 2015-2018 SeaCork/Aegir Cork Group. All Rights Reserved.